We’ve been thinking a lot about mobile technology and how to modernize an industry like ours by using a few simple tools like mobile apps. While doing some research, we were delighted to find an app called Greenie. The app is simple. It allows users to track their behaviour throughout the day and the app suggests simple modifications that users can implement to be more environmentally conscious. It’s an intelligent way to coordinate action on a larger scale. Individually, we feel somewhat powerless about a big problem such as climate change. We think: “It’s just me. 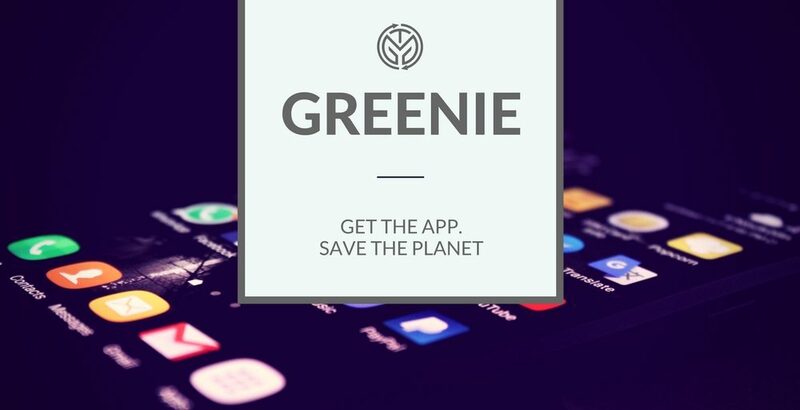 One person won’t have any impact.” But apps like Greenie have the potential to combine the efforts of many “one persons” into a major force to effect change. Another way we think this app has great promise is from a behavioural perspective. We are less likely to stick with a wholesale change (e.g. Starting on Monday, I am going to be vegan!) but more likely to stay with small incremental changes (e.g. I am going to take the bus on Mondays). The app suggests small things you can do. No need to freak out and make a total lifestyle change. After months or years, you realize that you’ve made major changes. Finally, we love the gamification aspect to apps like Greenie. It’s fun to be awarded with badges and titles; you still get that dopamine release in addition to taking action about something you care about. Here is the link to download Greenie for iOS. We’re going to give it a try. We’d love it if you did too. Let us know what you think.